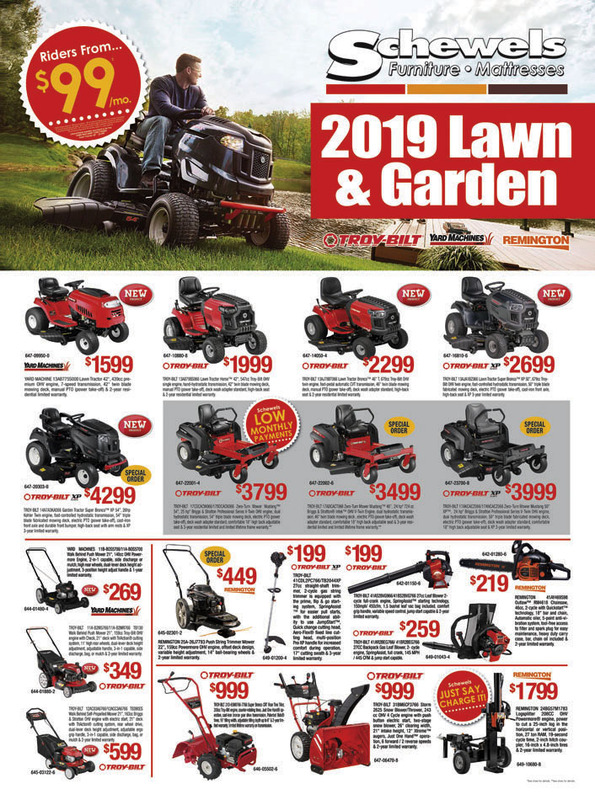 When Schewels Says Lowest Prices...We Mean It! That's The Schewels Guaranteed Lowest Price! What's That Mean For You? It Means The Lowest Furniture And Mattress Prices Every Day Period! I'd like to introduce you to the Schewels difference. 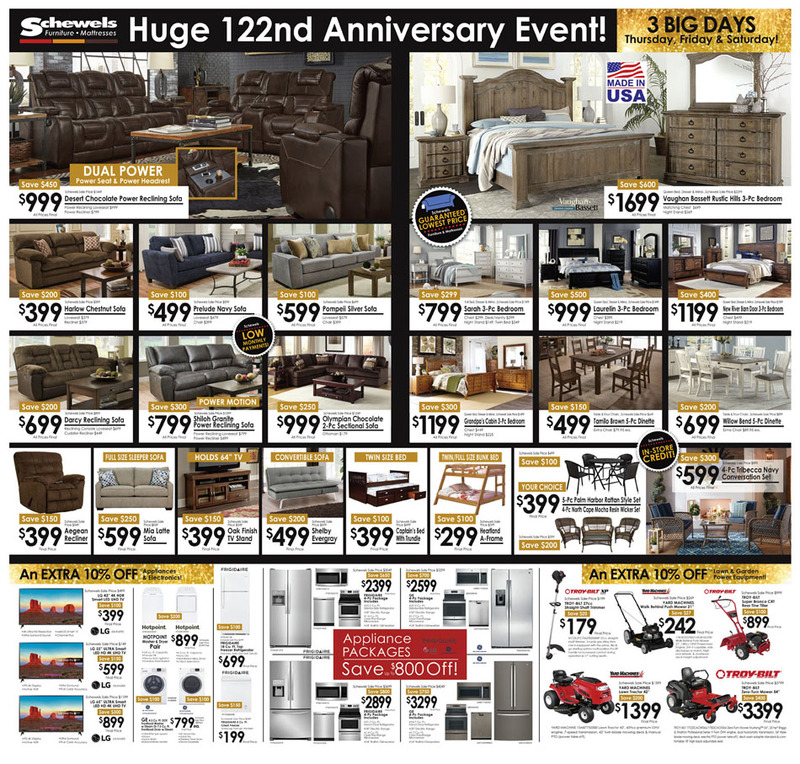 For over 120 years, Schewels has provided outstanding service to customers just like you. Schewels sells only the top name brand home furnishings like La-Z-boy, Bassett and Catnapper. The Schewels difference continues with our convenient, in-store financing at all Schewels locations. No banks or finance companies. That means you deal only with the friendly folks at Schewels. Give Schewels A Minute Before You Rent It! Having Trouble Getting Credit? Then Give Schewels A Minute Before You Rent It! 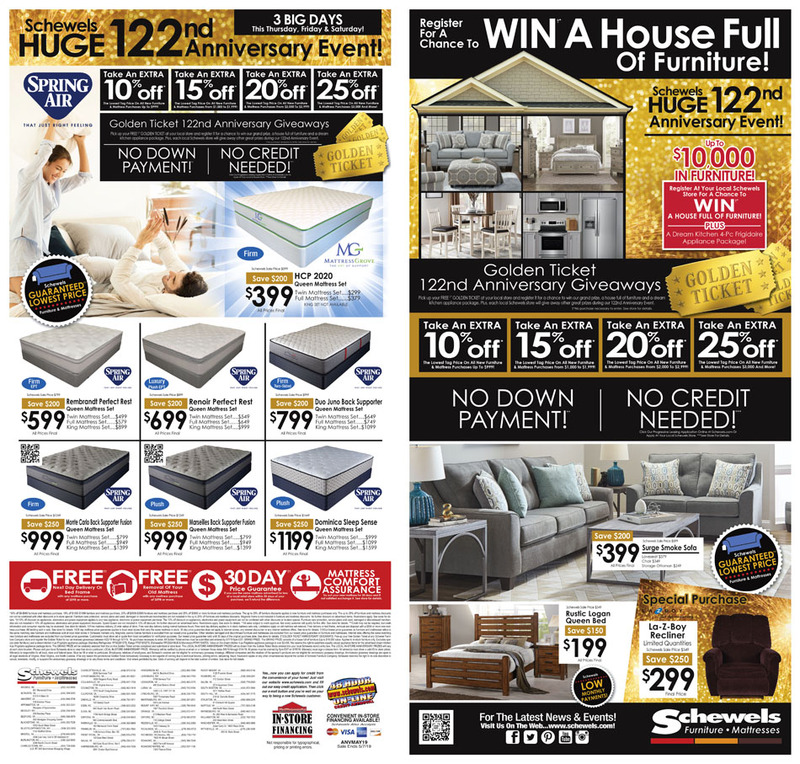 Schewels Will Save You Money On Name-Brand Home Furnishings, Appliances And Electronics...Guaranteed!